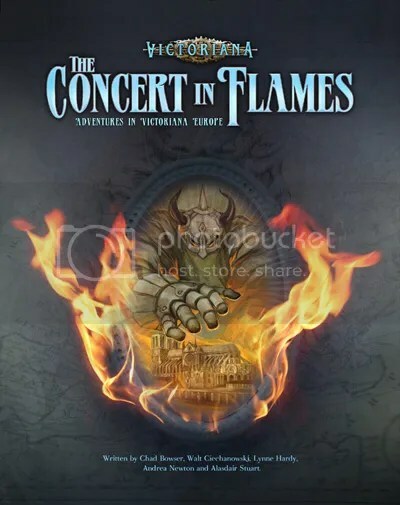 This is the cover to Victoriana: The Concert in Flame. It’s a campaign for the Victoriana RPG, published by Cubicle 7 and written by Walt Ciechanowski, Chad Bowser, Lynne Hardy, Andi Newton and me. Illustrated by Scott Purdy and fellow former Traveling Man Jon Hodgson it’s the story of a race across Europe to stop an elaborate plan to raise an ancient Death God. Victoriana‘s an amazingly pretty, fun game and this is exactly the sort of high density, idea-heavy stuff that it excels at. Here’s the inside, plus a cameo appearance by my fingers. I’m really proud of my work on this and it was an honor working with such a kickass group of writers and artists.. It was also an interesting and valuable learning experience as a writer. 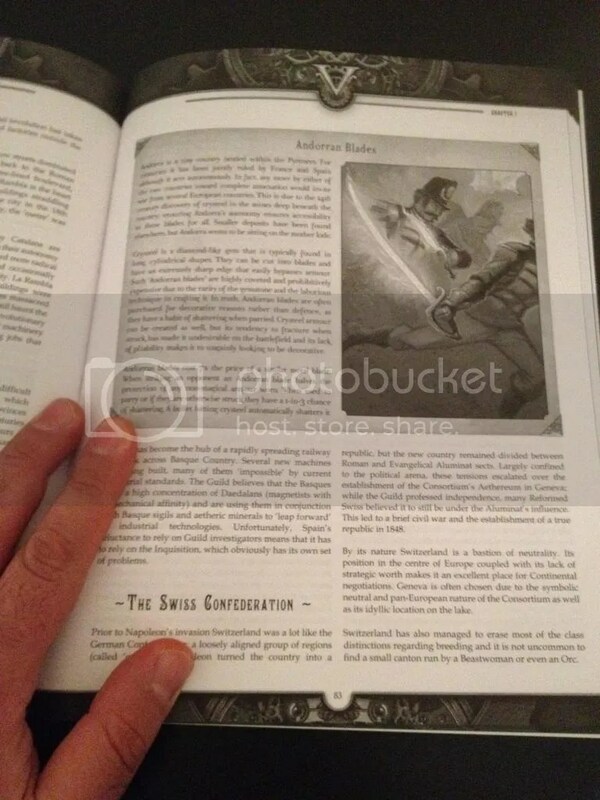 A lot of my concepts and story beats are in here, but not as many of my actual words typed by my actual fingers (Including the ones in that photo) made it into the book. Given that my professional confidence meter is, for a variety of reasons, not high right now, that knocked me sideways for a couple of hours. What turned me around was my friend Mur Lafferty. Mur is one of the smartest, most switched on people I know and she pointed out that while my disappointment was understandable it also wasn’t necessary. My work helped build the book, my ideas helped shape the book, I got paid for having worked on the book and now I can hold a copy of something I worked on, with my name on the front, spelt right. That’s four different shades of win however you cut it.